Gator - Clip Point, Fine Edge 06069. The Gator folding knives feature surgical stainless steel blades and patented handles that set them apart from the competition. 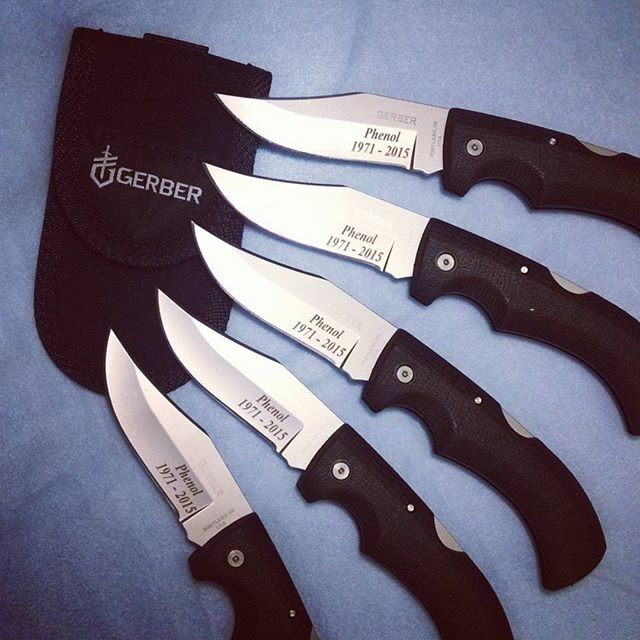 Gerber revolutionized knife grip technology when it introduced the Gator in 1991, winning Blade Magazine's Most Innovative Knife of the Year award. The Gator folders have handles made of a hard inner core of glass filled polypropylene, with Santoprene rubber molded and chemically bonded around it, essentially combining the two materials into one piece. This creates a handle that is soft and tacky when gripped, even when wet. This handle is lightweight, yet exceptionally durable. The clip point is excellent for hunting as well as general purpose tasks.